I am not a big fan of red lips for daily makeup. I just don't get the confidence to wear such colors to work. However, I just felt so comfortable wearing this particular red shade. The shade is not too "flashy" for work. The red lipstick have a purple undertone to it making it more settle for usage. I also love the tingling effect with mint scents that it delivers just right after applications. The color is very true when applied. However, the after effect is not as matte as most matte lip products. 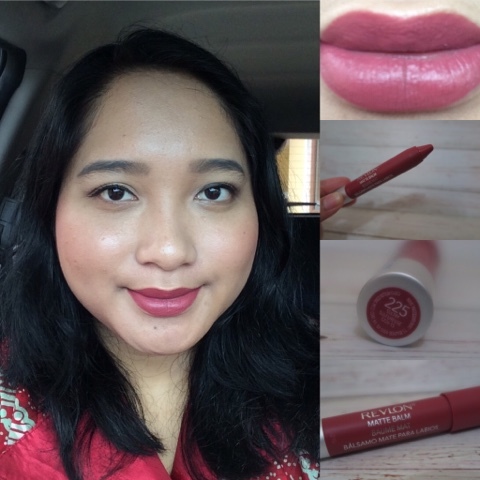 This particular lip product have a slight shine effect to it. It is also not "kissed-proof", thus needed continuous touch-up during the day.